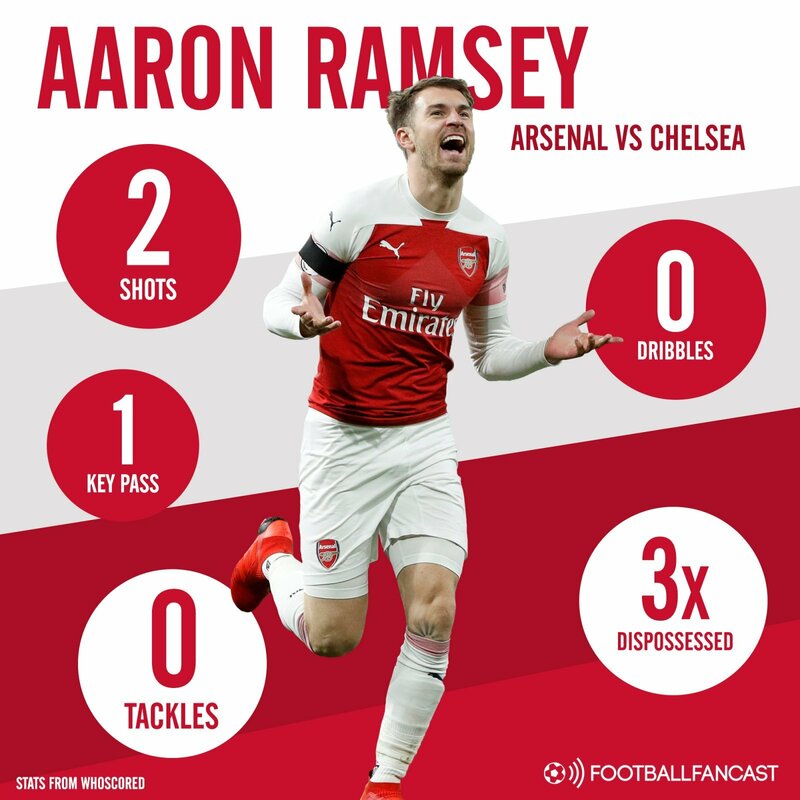 Despite being on the verge of signing for Juventus on a pre-contract agreement according to The Independent, Arsenal midfielder Aaron Ramsey once again got the nod in the starting XI ahead of out-of-favour teammate Mesut Ozil during his side’s 2-0 win against Chelsea at the Emirates Stadium on Saturday. While he was more of a regular in the side earlier in the campaign and even captained the team on occasion, the former Germany international appears to have steadily slid down the pecking order under manager Unai Emery due to lack of form and suitability for certain matches, as per The Telegraph, coupled with injury issues. The 30-year-old was left out of the 18-man squad for the defeat to West Ham United earlier this month but did make his return to the fold against the Gunners’ London neighbours at the weekend. However, it it was Ramsey who started in the position behind the two strikers in a 4-3-1-2 system. Despite looking all but certain to be a Serie A player when his contract expires at the end of the current campaign, Emery admitted in quotes via The Independent that he is happy with the attitude and focus of the Welshman, who made his first Premier League start since the 5-1 defeat to Liverpool against Maurizio Sarri’s men. However, he perhaps didn’t make the contribution that he should have in the victory considering the position he was playing in, which is plain to see from his statistics. The 28-year-old managed one shot on target from two attempts, made one key pass and failed to complete a single dribble, as per stats-based website WhoScored. In addition, he was dispossessed on three occasions as he failed to impose himself on proceedings and feed Alexandre Lacazette and Pierre-Emerick Aubameyang ahead of him. One of the main reasons that the Wales international started ahead of Ozil was surely the contribution makes from a defensive point of view, but he didn’t even do that as he made no tackles and just two interceptions. Given that side of the game is seen as one of Ozil’s main shortcomings and how he would surely feel he could have made a bigger impact from an offensive point of view in a central position that suits him, he should be fuming that he didn’t get the nod ahead of a player who looks to be definitely leaving Arsenal. It’s a strong indication of how drastically Ozil’s importance to the team has waned during Emery’s short time in charge.